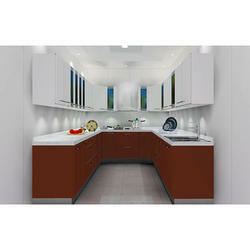 Best U Shape Modular Kitchen Professionals, Contractors, Designer, Decorator in India. All Surani Interior modular kitchens come with nearly infinite choices for making it a space that's the right mix of function and form. You can add mid-level accessories, tall units, drawer units instead of shelves for the base cabinets, and a whole lot more. T Shaped Modular Kitchen Designer in Chandigarh - Call Chandigarh Kitchens for your T Shaped Kitchen and Dining Room design consultation in Chandigarh, we will help you to create the Kitchen of your dreams. 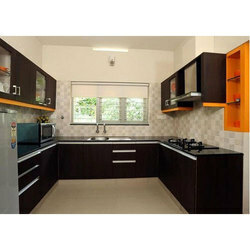 We are involved in providing quality assured array of U Shape Modular Kitchen.